On June 1st 2018, Black Tulip presented a special program for Chicago’s Musicians Club of Women​ in the beautiful Buchanan Chapel in Fourth Presbyterian Church’s Genevieve and Wayne Gratz Center. Black Tulip’s Josefien Stoppelenburg, Mirja Lorenz, Phillip W. Serna & Joel Spears performed dramatic cantatas and songs for solo voice and obbligato instruments alongside virtuosic instrumental works for recorders, viols, and theorbo by Alessandro Scarlatti, Tarquinio Merula, Barbara Strozzi, Julie Pinel and George Frideric Handel. The concert was engineered by Tom Haigh and organized by Chris Norton, Music Coordinator at Fourth Presbyterian Church. 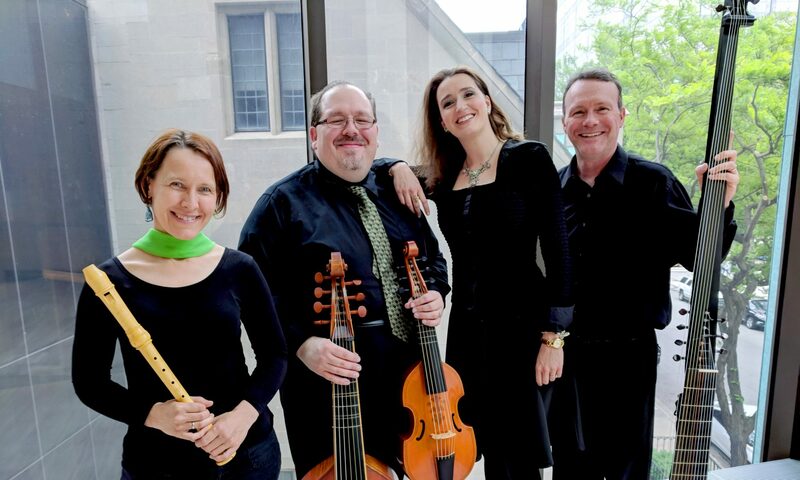 For more information on Chicago’s Musicians Club of Women​ & Fourth Presbyterian Church’s free noontime concert series, visit http://www.musiciansclubofwomen.org/ & http://www.fourthchurch.org/concerts/. For more information on Black Tulip, follow us on Facebook at http://www.facebook.com/BlackTulipEarlyMusic & on Twitter at http://www.twitter.com/BlackTulipEM.